A woman must do 100 hours of community service and is barred from owning any animal for five years after she was charged and sentenced for animal neglect. 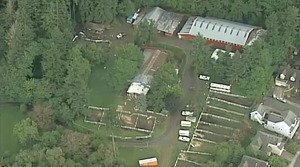 The Beaverton Hilltop Kennels and Stables located in Beaverton, Ore., where a family cat died of malnourishment. Marlene Antunez-Sandoval worked at the Beaverton Hilltop Kennels and Stables in Beaverton, Ore. Last October, the Oregon Humane Society investigated two cats that died at the facility while under Antunez-Sandoval’s care. One cat died from lack of food and water; the other feline was found in such poor condition that it had to be euthanized. The former cat was one of two sent to the shelter ahead of its owners who were moving from Virginia to the Portland area. This isn’t the first time the Hilltop Kennels have been investigated; Washington County Animal services received complaints about the facility in the past, but found nothing illegal during their on-site follow-up visits. The Kennel is now in danger of losing its license. Antunez-Sandoval has also been sentenced to five years probation; she has also paid almost $1,200 to the family of the deceased cat.